Brigadeiro: Giveaway: SHOPBOP $100 Giftcard to spend on anything in their store, inc. Chalayan, etc. Giveaway: SHOPBOP $100 Giftcard to spend on anything in their store, inc. Chalayan, etc. I am so excited about this giveaway, and wish I myself had had a $100 giftcard for Shopbop a week or so ago when I bought myself the Rag & Bone Newbury boots from the store (although I did have a 20% discount code, I'm not greedy, am I?). Entries close 14th of May and winner will be contacted directly. Miffny - Congratulations! I will contact you directly via email shortly, thanks to all who entered! Oh my goodness, I love Shopbop! Amazing giveaway! I will totally get some new shoes if I am the lucky winner! And I am following you on Blogger. Following you on Blogger, and I'll email you. Thank you for the giveaway and I follow you on Blogger, Facebook , Bloglovin, and Twitter. How excited is that Brigadeiro!!!!! Please, add my name. Followed! By the way, any news on the new Peut etre? I love mine, you guys did a wonderful job!!! E o baby, chega quando? Oh I'd love to win! I follow you on twitter @dmarie824. Thanks for a super giveaway! love your sense of style! Thanks for the chance!! I adore Shopbop! I follow you via BLogger. I love shopbop! Oh Shopbop!! *SIGHS* There are sooo many yummy pieces to choose from, those R&B boots you bought are sooo cute! I'm currently obsessing over their Galaxy Print Skinny Jeans...YUM. I'd love to win! I like you via FB. Ooh I would love to win this!! Following on blogger. Would love that phillip lim as my nappy bag for this winter...hmmn, my birthday in a couple weeks, might need to slip mr.cake a hint email! Will email or pm my deets, as privacy is important to me!! Following on Facebook. Congrats on the little one!! 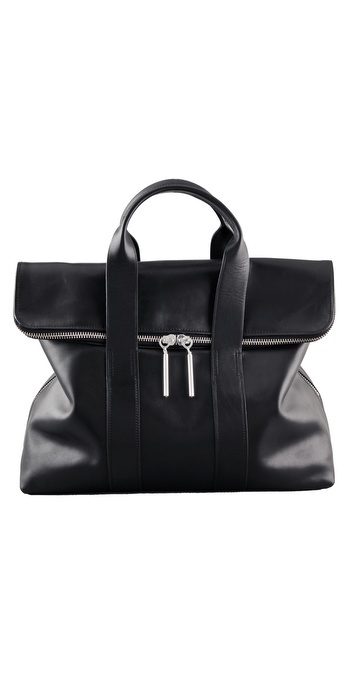 I've been staring at the Phillip Lim bag myself! I love the two tone colorblocked ones. Congrats on #2! So exciting. And what a fabulous giveaway! I follow on twitter. ooooooooooooh the things i would buy!!! wishlist could become real life list of treasures! i'm following you on blogger, but will find you on twitter too! your blog is bad for me because i swoon over shoes 8-) so so beautiful! ps you have evil captcha DIE CAPTCHA CODE DIE! Congrats on the new bubs!! Am now following you on GFC and Twitter! :) Yay for giveaways! Just found your giveaway through VF. What a fabulous giveaway! I am following you on Twitter!